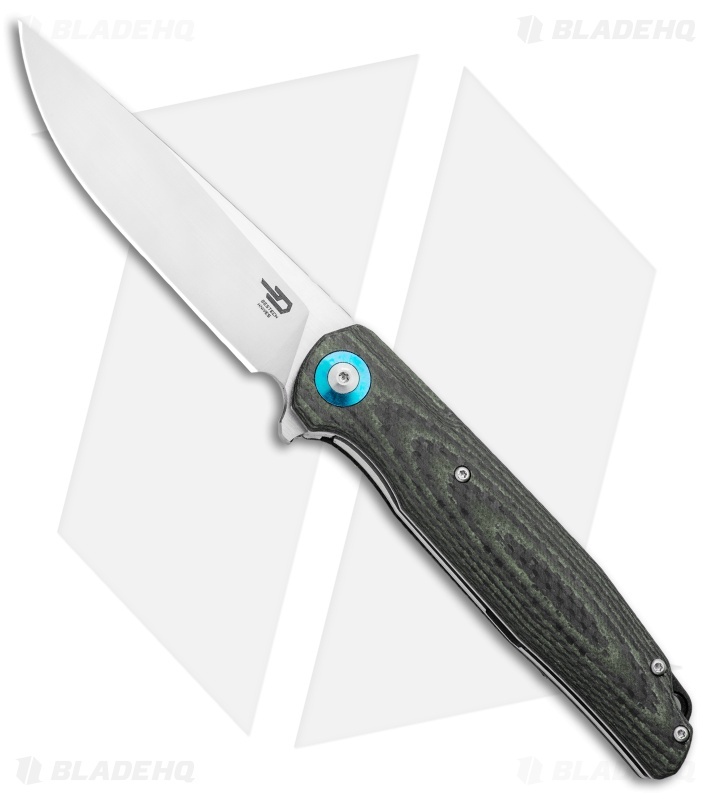 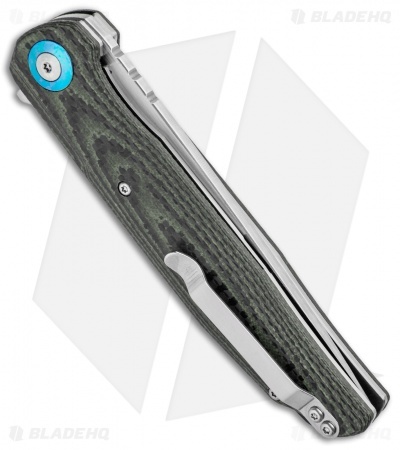 This model of the Bestech Ascot comes with black and beige carbon fiber/G-10 scales and a satin finished drop point blade. 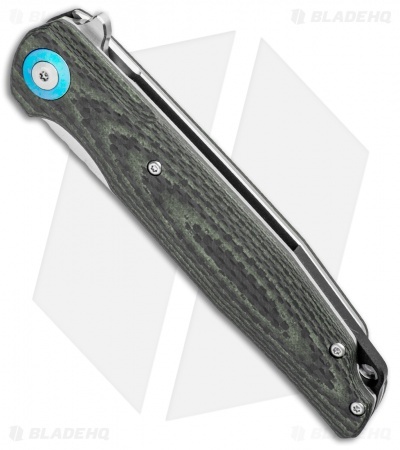 The Ascot is a heavy-duty, yet refined folding knife. It features layered carbon fiber and G-10 handle scales over a stainless steel liner with a titanium pivot collar. 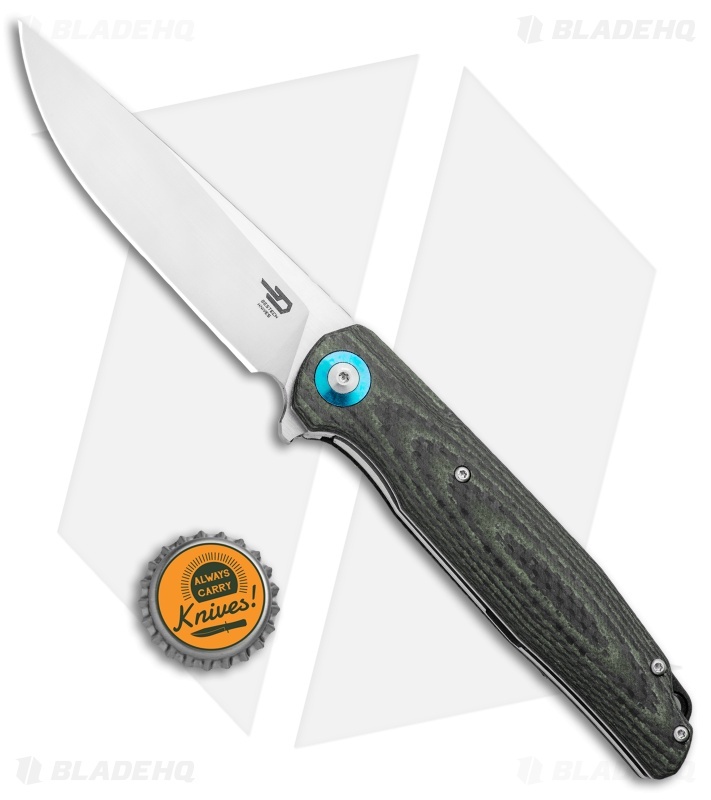 The drop point D2 steel blade is satin finished and opens easily due to the ball-bearings and flipper tab. It comes with a G-10 back spacer and a steel pocket clip.